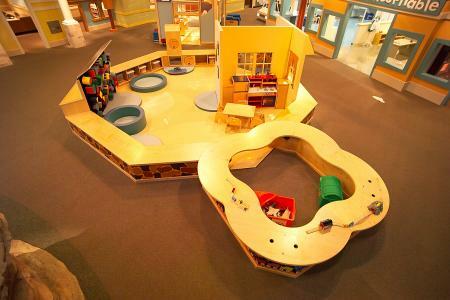 McKenna Children's Museum offers a stimulating environment where children can discover a world of arts and creativity, science and technology, culture, health and history. Children can see, taste, touch and smell in an atmosphere especially designed to build healthy young minds and promote overall well-being. Exhibits include lend-a-hand ranch, grocery store, Destination Space, The Tot Spot and many more. The museum also hosts birthday parties, sleepovers, camps and special events. Please contact 830-606-9525 for rates and details. Please note: Children are not admitted without an adult, and adults are not admitted without a child. Exhibits may be closed during inclement weather. Group rates are available for school and commuity groups; advanced reservations are required and can be made by contacting 830-606-9535. Awesome place, we spend hours here!! !